ISL Group in Orlingbury, Northants needed a new logo and website for their upcoming defibrillator enterprise. 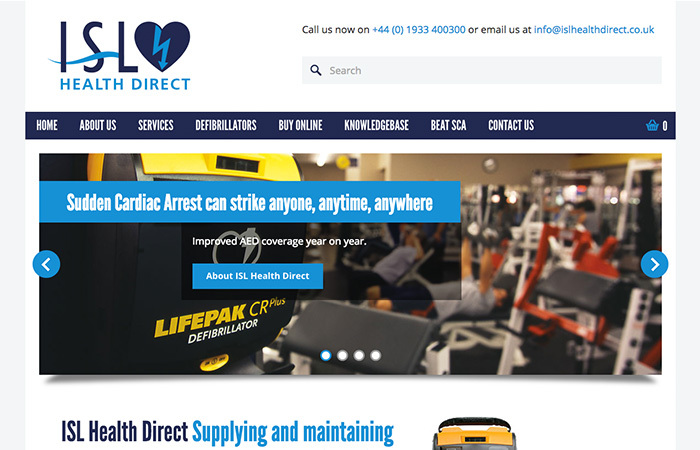 As well as requiring an e-commerce platform for selling their defib units online, the website primarily needed to promote their campaign in raising awareness of sudden cardiac arrest. The site features a WordPress content management system, WooCommerce shopping cart integration and is fully mobile responsive.